A scientist engineered the avian flu virus to make it more deadly to mammals. (CNN) -- A science journal is poised to publish a study that some experts believe could give a recipe to bioterrorists. The study is from an experiment by a Dutch scientist who engineered the avian flu virus to make it more deadly to mammals by making it spread through the air. That experiment was funded by the U.S. government, and it has sparked a passionate debate among scientists. Part of that debate is over where this research could lead, and whether it is worth it. The National Institutes of Health and some scientists say it is worth it. They say it could ultimately protect mankind by trying to anticipate how the virus could mutate to one that causes a pandemic -- like the one in the film "Contagion." Dr. Anthony Fauci heads the NIH agency that funds infectious diseases research. It funded the controversial Dutch experiment. "We need as scientists and health officials to stay one step ahead of the virus as it mutates and changes its capability," Fauci told CNN Radio recently. "To anticipate that would be important to determine whether the countermeasures we have available, such as antivirals and vaccines, would actually be effective against such a virus that changed in such a way." But a number of scientists are stepping forward to say it is not worth it -- and that this research could actually bring us closer to that nightmare. How? By making a lethal virus that spreads like seasonal flu. "We are playing with fire," says Dr. Thomas Inglesby and his colleagues at the Center for Biosecurity at the University of Pittsburgh Medical Center. If this engineered virus were to escape the laboratory, by accident or by evil, "it could endanger the lives of hundreds of millions of persons," Inglesby says. The journal Science is now reviewing the manuscript by Dutch scientist Ron Fouchier, a virologist at the Erasmus Medical Center in the Netherlands. In December, the National Scientific Advisory Board for Biosecurity warned against publishing Fouchier's study and a similar study from Wisconsin. The Wisconsin study was based on a similar experiment but used a less lethal strain of the virus. In March, that same advisory board looked at revised versions and said the Wisconsin study was safe to publish. But some on the panel broke ranks on publishing Fouchier's work. Twelve said yes; six said no. Michael Osterholm, an infectious diseases expert at the University of Minnesota, was one of the six "no" votes on the board. In a letter to NIH after the vote, Osterholm described the studies as "nearly a complete cookbook" for those who would do harm. The journal Nature just published the Wisconsin study. The journal Science is expected to publish Ron Fouchier's study within weeks. Is the engineered avian flu virus as easily spread between people, as well as animals? It's not certain. But evidence shows it's likely to spread the same way between people as it does between the ferrets that Fouchier used in his experiment. Why did the government fund this research if it's so risky? They wanted to know why avian flu spreads so fast among birds but not among people. People only catch bird flu if in they're in close contact with infected birds. Here, the government funded two studies, one led by Fouchier and the other by Wisconsin flu researcher Yoshi Kawaoka. Both used genetic engineering to explore which mutations might turn an avian flu into one that could spread easily between people. The NIH says these experiments show that it's possible for the bird flu virus to evolve to a highly transmissible killer virus like the one in "Contagion." "These studies raised the red flag," said Robert Webster, a virologist and flu researcher at St. Jude Children's Research Hospital. "The cat's out of the bag." These experiments lay a path to a whole new area of genetic engineering in flu research. The government and supporters of the controversial experiments say more research will lead to a better understanding of the genetic mutations that could lead to a viral pandemic. But other scientists say this is the wrong road to take. Sir Richard Roberts, a molecular biologist who's won the Nobel Prize, spoke out at a recent National Academies workshop on the bird flu experiments. "Someone is trying to make the most dangerous virus we can think of," Roberts said. "I don't understand how one can justify that, unless there is no other way of getting the data that you're interested in. "And the way you get data is surveillance, and to see what is going on in nature, and to respond to it accordingly. And you go out of your way to find a universal vaccine. I would much sooner see money spent on that than on creating the most dangerous virus imaginable. I find it indefensible." Roger Brent, a biologist at the Fred Hutchinson Cancer Research Center in Seattle, said he believes these experiments create more danger than benefit. 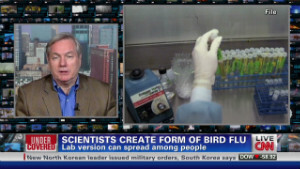 Brent told CNN that in order to be valuable -- that is, to reliably show the ways that bird flu could evolve to infect humans -- these experiments would require more experiments that could generate recipes for more, and different, man-made viruses -- all of them dangerous. "Scientists must ask: Do we really want to do these experiments?" Brent said. "If we're generating knowledge that we feel dodgy about, do we really want to generate 20 or 100 additional (engineered viruses) that create something that most people would believe to be bad?" Is the government going to fund more of this research? Possibly. The controversy over the Fouchier experiment led to a temporary "voluntary moratorium" by flu researchers on genetic engineering. It also prompted the U.S. government to begin crafting a policy on how to deal with "dual use" research like this that can lead to harm, as well as good. At a recent hearing on the bird flu virus research, Sen. Joe Lierberman, I-Connecticut, asked Fauci whether he thought there were any experiments that should not be done. Yes, Fauci replied, but he said he thought that would be rare. Supporters of the Fouchier experiment say the results make the case for more support and funding. At the National Academies workshop, one journalist said he had talked to a number of scientists who questioned the value of these experiments and where they could lead. Flu researcher Robert Webster replied by saying the experiments brought bird flu back into the research conversation. 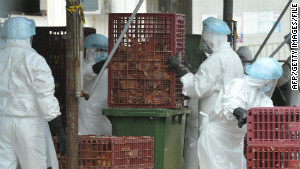 "Concern for bird flu had dropped. Really, H5N1 had disappeared from the radar screen. This shows it can occur. 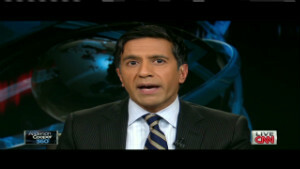 So we have to maintain pandemic preparedness."